The smallest collecting area unit on the telescope surface at MOST is termed a “module”, and has an area of approximately 50 square metres. 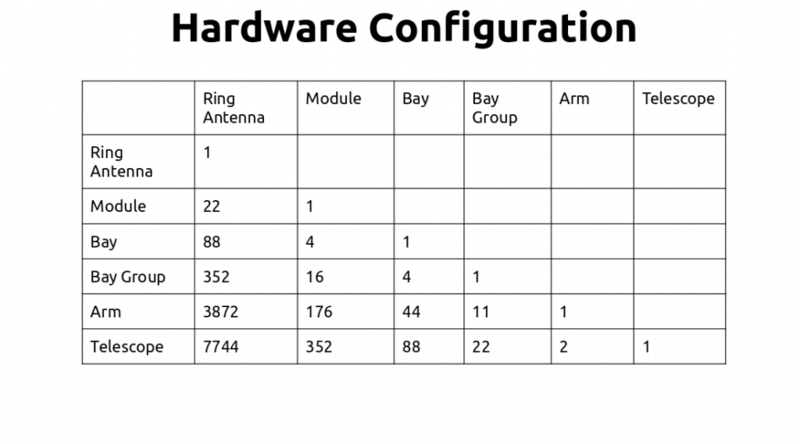 There are 352 modules, for a total collecting area of approx. 18,000 square metres. Four modules make a “bay”, of which there are 44 in each of two arms – one in the East and one in the West. Each module is a bay is assigned a colour (red, yellow, green and blue), as shown below. 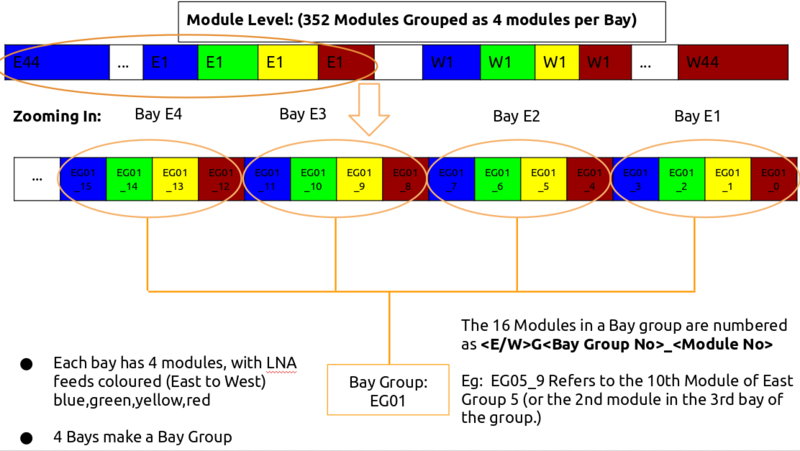 Groups of 16 modules (or 4 bays) are called a “Bay Group” — each of these feeds into a PFB (Polyphase filterbank) via a dedicated optical fibre bundle. Diagram showing the naming conventions for modules, bays, bay groups (as used by the PFB) and arms. Lookup diagram showing the number of elements in each level of the hierarchy.